Extra heavy duty lock;. Their economic price allows for bulk quantity buying for total forecourt protection. Ideal for long stay car parks and sales forecourts;. 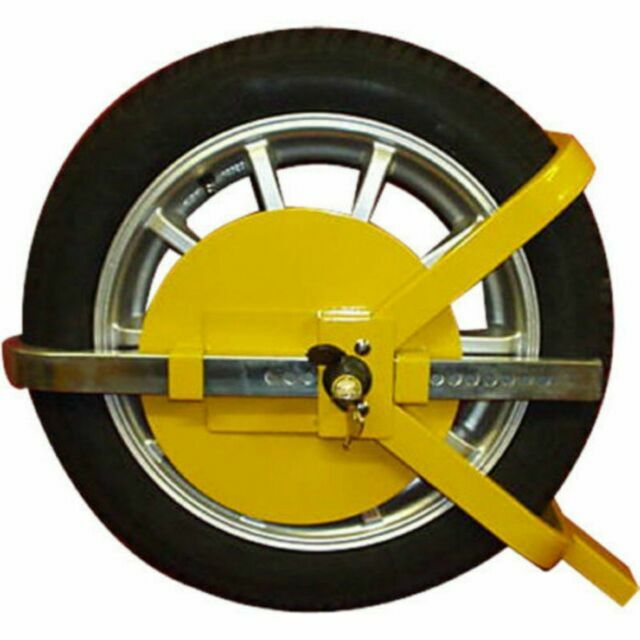 Full face design prevents removal of wheel nuts;. Stronghold Car Vehicle Caravan Heavy Duty Triangular Wheel Security Clamp 8-10"